Tor Mclean, the resident of Lafayette, California, solved the California historic drought issue at his own backyard. He tore away his water-thirsty lawn and turned it into a beautiful, eternally green retreat that requires zero maintenance and lowers approximatly 70% of his monthly water bill. Plus, he is getting a rebate from East Bay Municipal Utility District (EBMUD) to decrease the cost of transition. "I want it look pretty. I want it look good, " -said Tor Mclean. "Don't have to spend a lot of money on it, and conserve water. No matter if the drought is over or not," - he said, "this project is going to stay." Abby Figueroa, the East Bay Municipal Utility District, told ABC7 News that the agency planned the cap up to $2,500 in cash rewards to homeowners who are switching to the drought-tolerant natural plants. 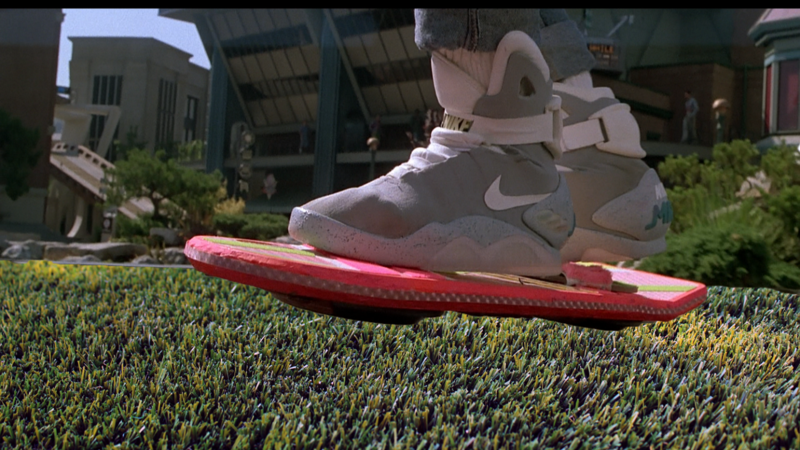 They might extend rebates to those who go with artificial grass with a cap of $1,200. But California Redbud, Cleveland Sage and Cofee Berry, though look decent on the front lawns, can't replace traditional California backyards, the place for kids to play and for adults to enjoy the 4th of July barbeque. But not everyone is happy. As a continuous effort to minimise the plastic waste, the Alameda County public recycling agency, sent a letter in protest to Est Bay Mud. "This stuff has no place to go after its useful life other than a landfill, and people may install it and send it to landfill a few years after the drought is over," Stop Waste spokesperson Gary Wolff said. But the question is: will the drought be over in a few yeas? 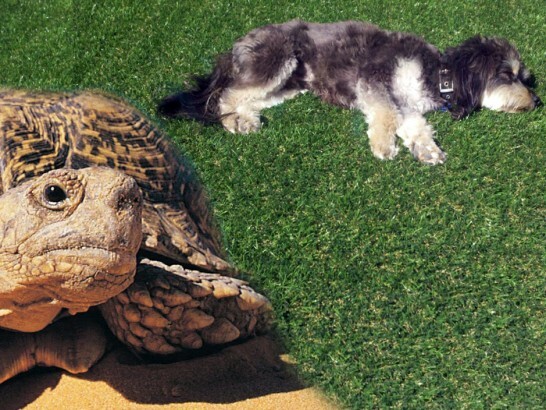 Artificial grass life expectancy under regular traffic is at least twenty years. 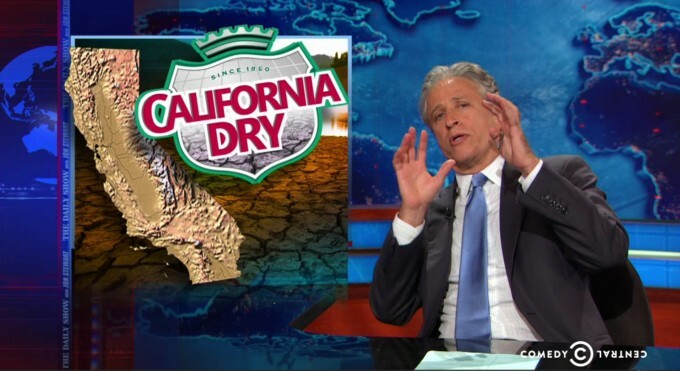 Most Californians realize that no matter what agencies say, July 1 water price increase is just a beginning. EBMUD raised water rates three years in a row. Someone has to pay for aging infrastructure, and this someone is California residents. Last year, Abby Figueroa mentioned that increasing water prices are "politically challenging." Now, when the California drought got to the catastrophic stage, it is time to invest in a new technology, and it will affect the cost of every household in the state. "The drought has been the main drive in the industry. People look for the alternatives to their real sod," - said Andrew Gao, Global Syn-Turf's CEO, in his interview with Cornell Barnard, ABC7 News. 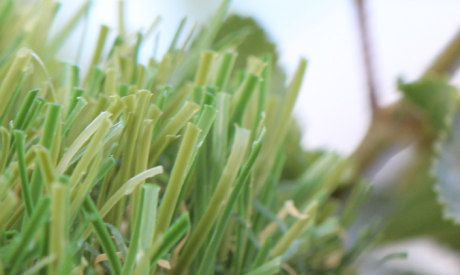 As Cornell Barnard mentioned on air, the artificial grass business is booming. "Grass is always greener at Global Syn-Turf. 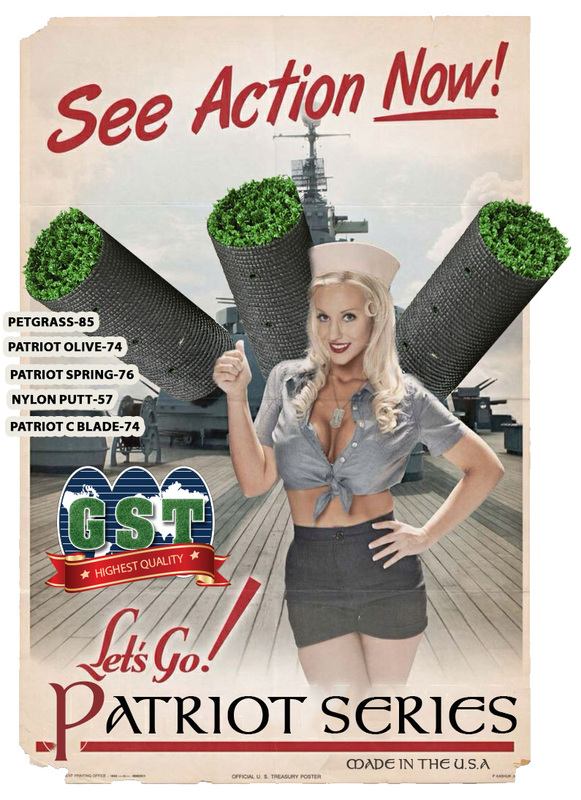 The demand is so high for the fake grass they make it's been hot for their business for the last two years." Most synthetic turf manufacturers in the United States have a challenging time to keep with growing demand. Some of them have at least three months in back orders. At Global Syn-Turf, we are happy to give an immediate solution to our customers. Global Syn-Turf is the largest manufacturer of artificial grass in the United States with the largest inventory of highest quality synthetic grass in the country. Every order is fulfilled in the timely manner. While most companies have no manufacturing capacity to produce enough turf for sky-rocketing demand, we can supply turf TODAY. Plus, if you walk through our website, you will see the biggest collection of grass and the widest range of technologies we have innovated throughout years. Global Syn-Turf collection of artificial grass is impressive and contains more than 65 different types of turf - from landscape applications and sports fields to professional putting greens and unique grass with exceptional drainage intended for pet areas. With warehouses in Northern and Southern California and all around the country, there is no need to wait three months or more to lower your water bills. Call us today and start saving water immediately. Cornell Barnard, ABC7 News, believes that "during the drought there is nothing fake about saving water." As a drought becomes a major concern in California, the idea of replacing old lawns with artificial grass becomes more and more attractive to home and business owners. In the interview with Ken Wayne, Fox News, San Francisco, Jim Luthi, the homeowner of Newark, confessed he has bit the bullet and replace the sod with artificial turf: "Thirty something years of having droughts on and off. " As every homeowner knows, a nice lawn takes a lot of work and water, and for some it doesn't worth it anymore. "A few years ago I wouldn't have got this because I didn't like the artificial turf, but they've gotten so good now that I figured you know what, I'm going to do it. And I wanted to lessen the workload on myself a little too," Jim said. Michael McGinnis, a landscaper, loaded his pick up with a giant roll of artificial turf at Global Syn-Turf's warehouse in Hayward, California. He says he is getting a lot more business installing turf. "It's becoming extremely popular. 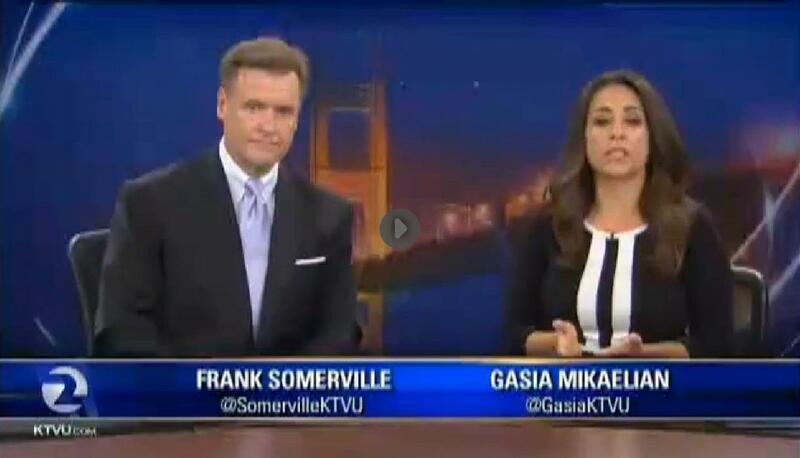 People can't get enough of it I guess," he told KTVU. The artificial grass industry is exploding. Global Syn-Turf, the largest artificial grass manufacturing company in America runs 45,000 square foot warehouse in Hayward. But that's only a small part of their business. They carry artificial turf products all around United States, including large metropolitan areas in Florida, Texas, Nevada, Arizona, New Mexico, Colorado, New York and East Coast. Residents and landscaping businesses in Southern California pick up turf directly from GST's huge Los Angeles and San Diego warehouses. With increasing popularity of artificial turf in United States, most manufacturers run out of products quickly, but not Global Syn-Turf. Dave Maronic, a company vice-president, told KTVU the business is booming. "We've doubled, tripled every month," he said. "Different engineered blades is the way of the world right now." Global Syn-Turf produces more than 65 types of artificial grass of different colors, heights and weights. Engineered blades are designed for high performance, impeccable resilience, super-natural looking turf. It is not your old-fashioned, carpet looking Astroturf. "It looks just like the real thing, feels like the real thing. It's environmentally safe for the kids, for the pets," said Maronic. With the late concern about a crumb rubber linked to health issues and used by other artificial grass manufacturers, Dave Maronic made it clear that Global Syn-Turf has never been in favor with the use of old, used crumb tires, and always recommended natural infill solutions to their customers. "It's environmentally safe for the kids, for the pets," said Maronic. "There's different padding to meet G-Max ratings for fields that you don't have to use that rubber. So it's not something we carry. Not something we sell," he said. G-Max is the measurement of the shock attenuation of sports surfaces. The performance values of an artificial grass field can be understood as a reflection of the field's G-Max rating. With the G-Max below 120, the surface is too soft and may not provide enough energy return to the athlete, and leads to premature exhaustion. When G-Max rating is above 180, it creates an overly hard field, and will cause a performance hazard introducing the risk for severe injuries. The use of crumb rubber is not required to achieve perfect G-Max rating, and there are other ways to achieve a maximum level of protection to athletes. This year, Global Syn-Turf installed a million square feet of turf at the Twin Creek Sports Complex in Sunnyvale, California. You may think that installing artificial grass is a more expensive alternative to a natural sod, but in a long haul it pays for itself by reducing water bills and the maintenance costs. In California, major water agencies run rebate programs to help homeowners transition their lawns into the drought-tolerant landscape. According to professor of Earth sciences at UC Santa Cruz Lisa Sloan, who predicted a severe California drought back in 2004, "the actual situation in the next few decades could be even more dire that our study suggested." But even the scientists are wrong, for most homeowners swapping to artificial lawns makes more sense money and maintenance wise. At least that's the thinking of Jim Luthi as he gazes at his pristine Newark yard. "I think it looks great. Looks fabulous. Looks like regular grass." 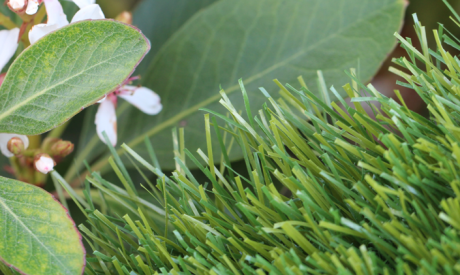 Global Syn-Turf, Inc. today announced the release of new line of artificial grass developed with one-of-the-kind Double S shape technology designed to create super-realistic look and higher resilience of synthetic turf surfaces. With this latest release, Global Syn-Turf further satisfies the industry's demand for a proven and reliable outdoor solution which is inherently low-maintenance and zero-irrigation; a synthetic grass which provides greater resiliency, realistic appearance and lasting durability. 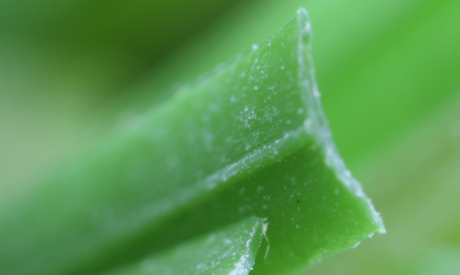 The latest enhancements with Double S shape blade allow wider than regular, texturized look to the end-product. 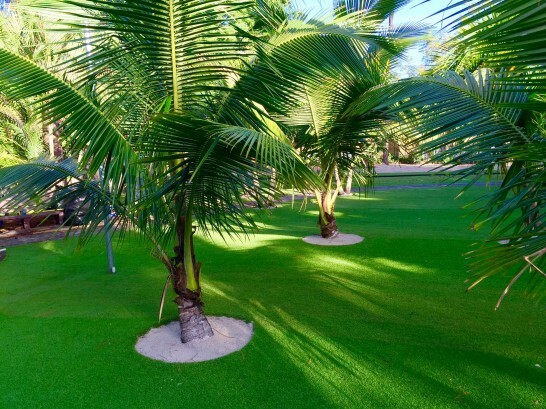 This update nests neatly with core value of the synthetic grass - the capacity to withstand severe weather changes, intense and constant use in combination with a soft, plush touch. The new Double S fiber technology features multi-color emerald green and olive green blades with double thatching in brown and green for additional elaborate feel. 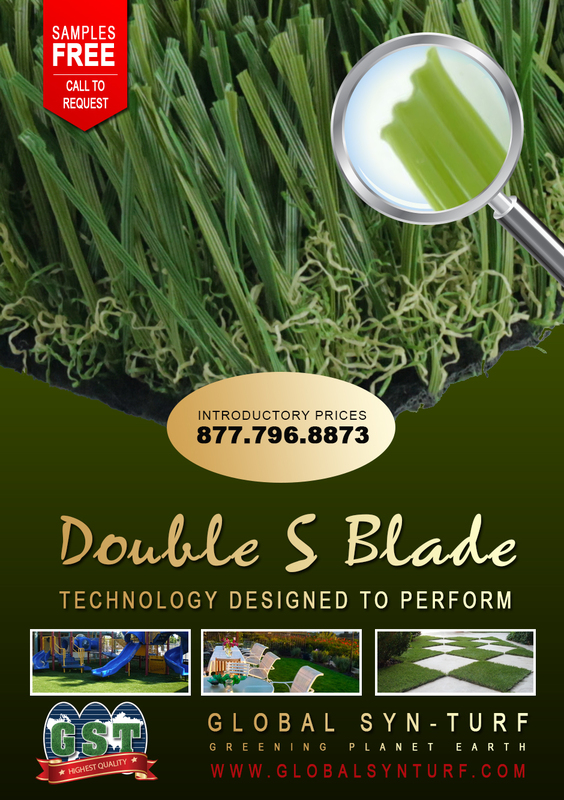 First releases of Double S Blade line of artificial grass is available for distribution country-wide. Double S-72's pile height is 1 7/8 inches with 3/8 inches turf gauge and the face weight 72 oz.Double S-61 comes with the pile height of 1 3/4 inches and face weight 61 oz. The sturdy backbone of the fibers makes the grass stand up for a longer time and give the surface a remarkable resilience. This unique fiber blade significantly reduces glare to create super-realistic appearance. Synthetic Grass Discounts and Sales! 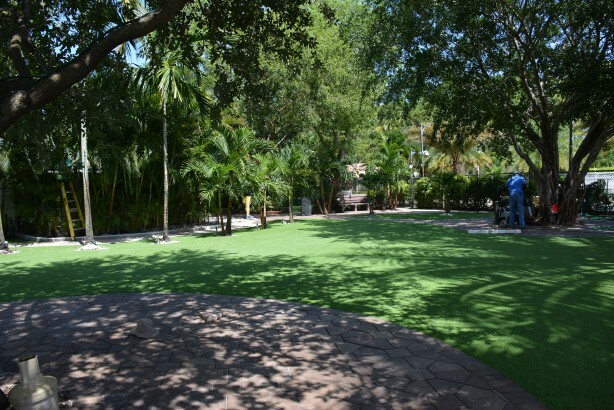 Are you considering putting artificial grass for your next commercial or residential landscape project? Or have you been wondering how to turn your lawn into luxurious, water-saving, environmentally friendly paradise? GST's, unique technologies will turn your dream lawns into reality with its state-of-the-art products. 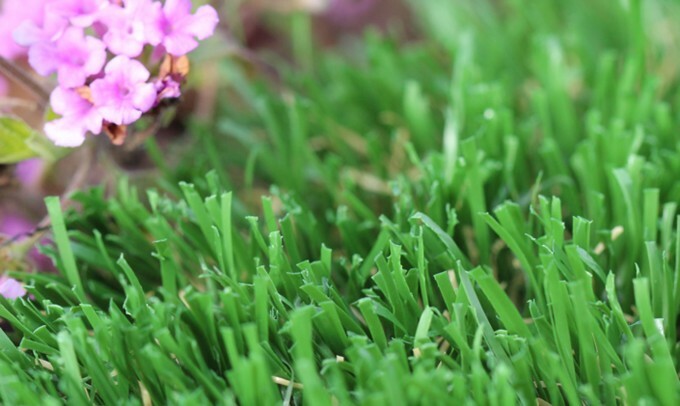 Their lead-free synthetic grass is safe for humans, children, and pets. Global Syn-Turf is a global leader in artificial turf manufacturing and has largest inventory of natural looking synthetic turf that stays cool in high temperatures. 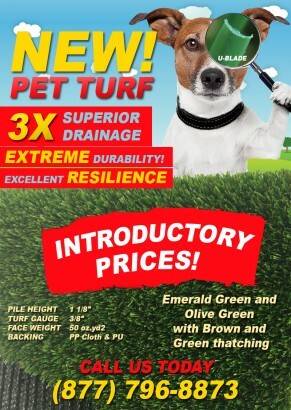 We provide a ten years warranty (turf only) with a projected life of 20 years under normal use. GST's products are eco-friendly and certified by independent laboratories. Call us NOW at 877-SYN-TURF and get a FREE QUOTE. It is not questionable and it is not surprising to know that the upfront cost of maintaining artificial grass is higher than when you choose to have a lawn that is made of real grass. But, in the long run, your investment will just come back to you as soon as you start to reap the benefits of installing artificial grass. Just the same with most highly efficient "green" products, there could a bigger upfront cost which will eventually pay for itself. That will finally help you save thousands of dollars in the end. Hence, you should not be discouraged if you learn that you will be spending more when you choose to buy and install an artificial turf lawn since the ROI is real and is practically guaranteed to everybody. The initial cost or expense would offset by the truth that synthetic grass and lawns could help you save cash over time. The most impressive thing that you should learn about investing in turf is that the money saving returns are 100% guaranteed. Turf is among the safest investments that you can ever have. This will spare you from the increasing costs of gas, electricity and water bills. As you combine all these lifetime savings with individual state rebates which are provided to all turf owners, you are assured to be paid back for your investment and then you will get to realize the future savings that you can obtain every month. 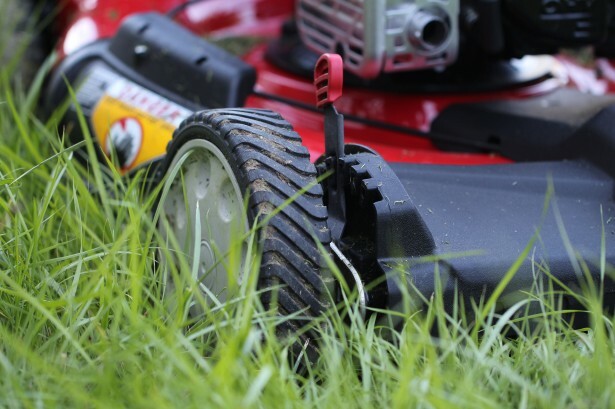 If you are from one of the cities in the United States, you possible have a busy kind of life and keeping your lawn well-maintained regularly is one of your least priorities. The common solution considered in this matter is to hire a professional that will maintain the lawn for you. That can save you time yet your grass still looks not at its best sometimes. When the summer season comes in, you may find your grass losing its lush green color. Global Syn-Turf aids you to understand how artificial turf could not just keep the grass looking beautiful and attractive throughout the year but save you cash on your water bill as well. With synthetic grass, you can already help save in the conservation of water. Synthetic grass can actually help to save thousands of gallons of water every year. You can also eliminate the usual problems of under or over watering your lawn through switching to artificial grass. Since you are saving water, you will also save on your lawn maintenance costs such as weed whackers, lawnmowers, lawn services and so on. Just imagine having a perfect-looking lawn without the need to hire a gardener or do the job on your own. Since synthetic grass does not require watering, mowing and fertilizing, it is the consumer-friendly product which saves you time and money. No watering will indicate that you will be having lower water bills every year. How To Create an Accelerated Surface Drainage? Amazon.com, electronic commerce company, has expanded its services to include connecting homeowners with landscape contractors. The site, Amazon Home Services, launched earlier this month and allows based businesses to sell their services through the website. It may be in the very near future when artificial grass installers, too, are connected to homeowners looking to save money and water on their lawn care through Amazon's new portal. Amazon is already a seller of physical products, artificial grass being one of them, but now they're trying to make way into the services marketplace, competing with such companies like TaskRabbit, Angie's List and Uber. For example, for roughly $120 you can have your lawn mowed by an Amazon-approved lawn maintenance contractor; and if you live in the appropriate service area, you can have your goat grazed it you so fancy. Amazon's revenue model is that it takes a percentage commission from all of the services sold through their site: 20 percent from the sale price of standard services, and 15 percent from custom services. 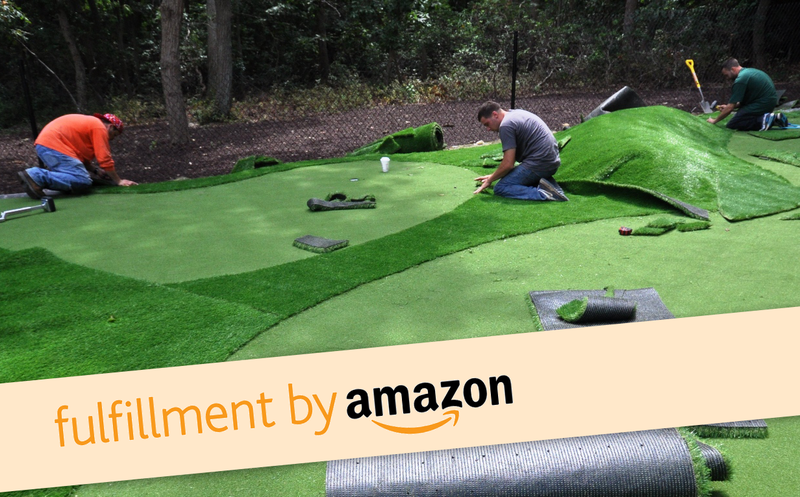 Will Amazon become the go-to website for artificial grass installers to connect with potential clients? Perhaps. Immediately following Governor Jerry Brown's announcement that a 25% reduction in California's water usage is mandated, a good number of residents and homeowners in California agree that the state's approval of artificial grass is the beginning of a larger wave to come in the future. 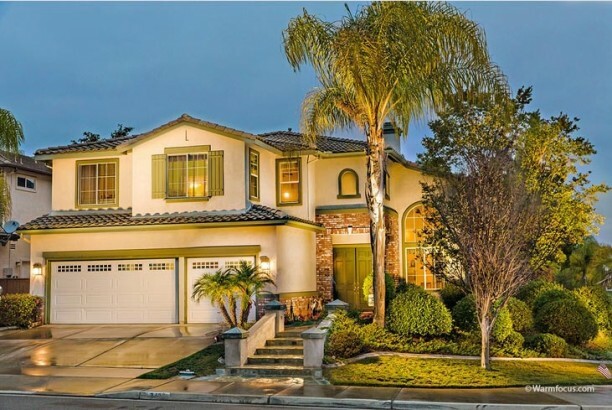 During his initial announcement, Governor Jerry Brown stated that the idea of having a nice little green grass lawn getting watered every day is a thing of the past. The California Water Resources Control Board is scheduled to release its proposal for how they will achieve a 25% reduction in two weeks. The restrictions are to take effect on June 1, 2015. Many are now not only open to but keen on converting their lawns to artificial grass. One homeowner in Orange County, for instance, says that she and her mother have been living in a house with a real grass lawn fo 60 years. But as they went shopping this weekend they walked by an artificial grass supply store and her mother declared that artificial grass is the yard surfacing material of the future. Both she and her mother are open to installing artificial grass if keeping their current real grass lawn becomes unsustainable. However, she said that she and her mother are not willing to go so far as to install drought-tolerant xeriscaping like cacti, etc., in their yard, because it doesn't provide the functionality that a fake grass lawn provides as far as being a suitable surface for the kids and the whole family to play and supporting physical activities. Global Syn-Turf, Inc., the leading artificial grass manufacturer, attended the 46th annual Carmel Valley Garden Show in Carmel Valley, CA, on April 3rd, where it showcased its drought-tolerant artificial grass products and industry expertise to the Northern California community. This eagerly anticipated event drew people from all over the region who came out for the exceptional vendors. The vendors, ranging from professional gardeners to flower arrangers to landscaping companies, displayed their latest products and methodologies. 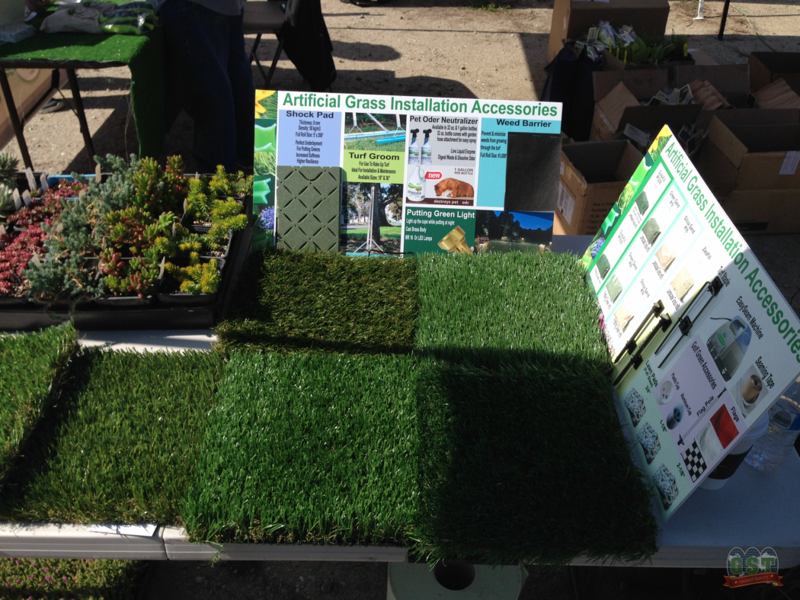 On display at Global Syn-Turf's booth were artificial grass samples, installation pamphlets and brochures. "Global Syn-Turf has attended the Carmel Valley Garden Show for several years and was pleased once again to be a representative of the artificial grass industry in Northern California," said Rachel Brady, Global Syn-Turf's Sales and Marketing Manager. 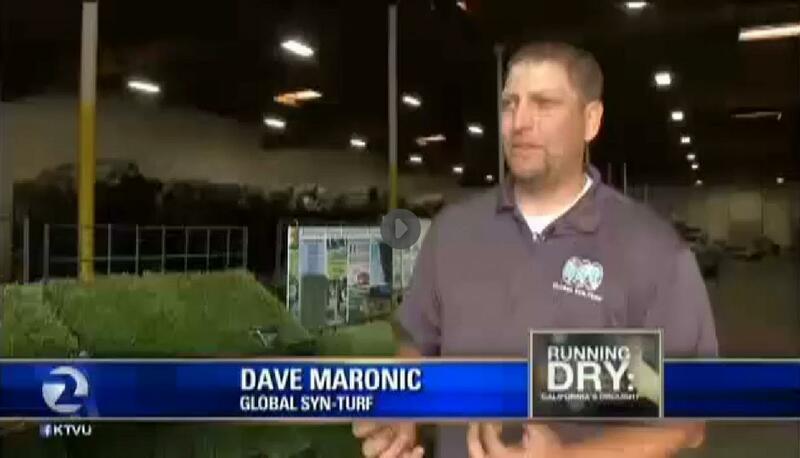 "This show is just one of the ways that Global Syn-Turf interacts with the Northern California community. Shows like this are essential for the development of our products and the artificial grass and landscaping industries. This hands-on experience encourages professionals and consumers alike to make the connection between their gardening and landscaping decisions and the environment and community." Throughout the show, Global Syn-Turf and the show's participants were cognizant of California's water woes. And, due to Governor Jerry Brown's announcement last week of upcoming mandated water usage reduction, Global Syn-Turf's products were repeatedly noticed by visitors for their unique water efficiency. "Since there's a drought right now, and we're facing a mandatory 25% reduction in water usage, it's critical to emphasize that there are opportunities to substitute water-intensive lawn materials with drought-tolerant materials like artificial grass -- which is just as beautiful as real grass," continued Rachel Brady. "The Environmental Protection Agency estimates that the average household uses 96 gallons of water per day on outdoor uses. And more than half of that water is used for watering lawns and gardens. A significant percentage of that excess quantity can be eliminated simply by installing artificial grass in yards. In short, artificial grass affords the utility and joy of having a lawn with none of the harmful side effects." Rachel Brady said the greatest reward for Global Syn-Turf's participation in the show was seeing visitors' reaction to their drought-tolerant artificial grass products. He was approached throughout the first hours of the Carmel Valley Garden Show by visitors asking for tips on how to install artificial grass and about its various water-saving benefits. 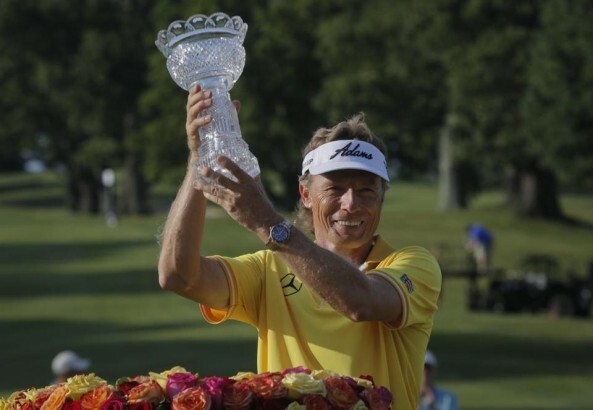 Global Syn-Turf was founded in 2009. Since then, Global Syn-Turf have showcased their products annually, attracting more and more visitors each year. 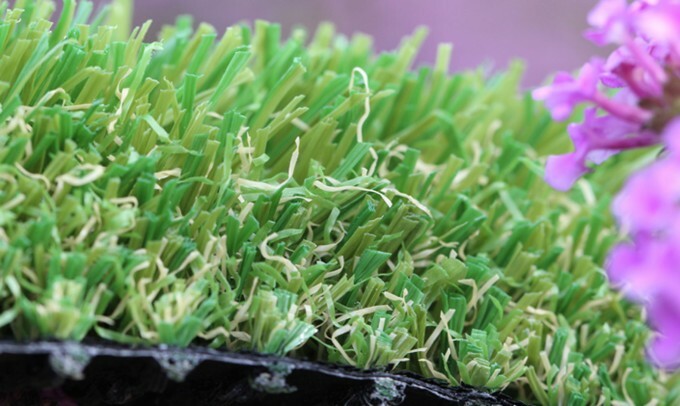 On the increasing popularity of artificial grass, Rachel Brady said, "The increased interest in Global Syn-Turf's products is a testament to the growth and success of the artificial grass industry and Global Syn-Turf as a company. In only in six years, artificial grass has gone from just a niche industry to being a part of the popular landscaping vernacular." 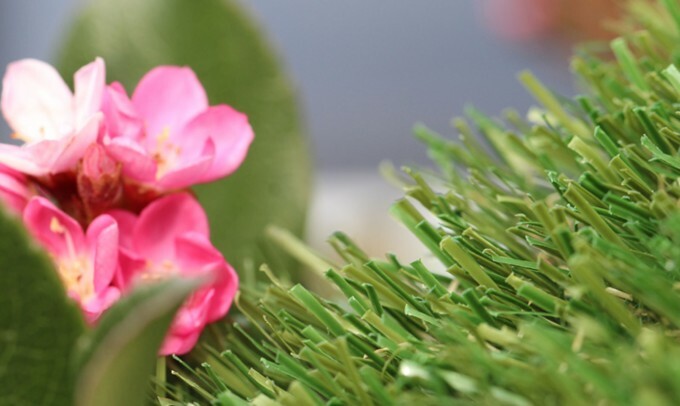 Artificial grass industry is growing quickly. 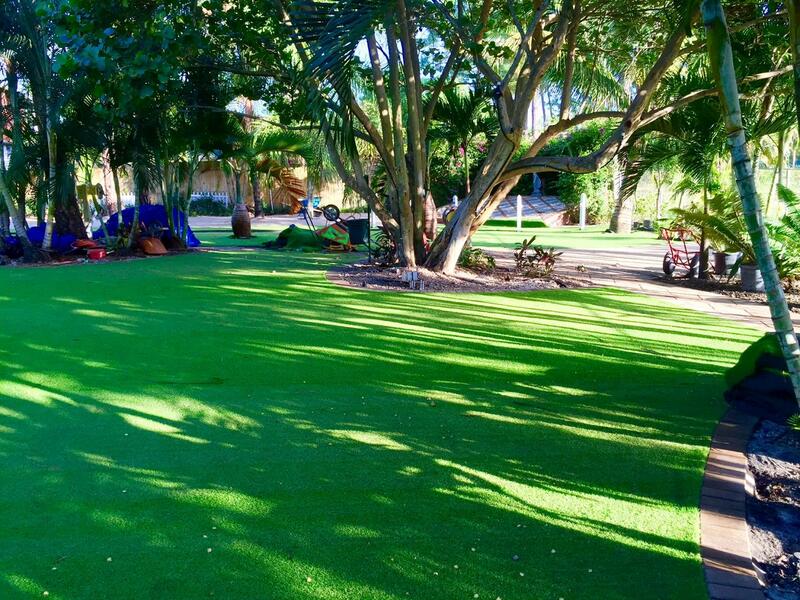 If you are looking for the best quality synthetic grass on the market, call us today. 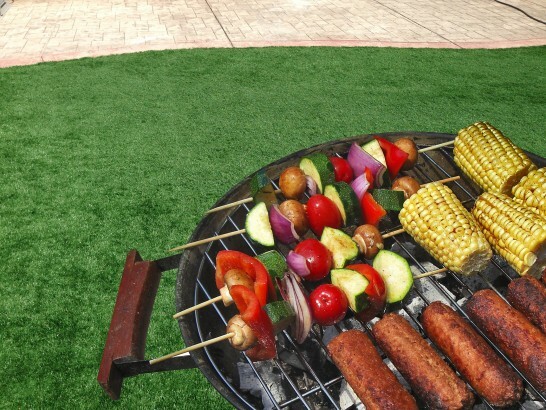 Global Syn-Turf is the leading manufacturer of fake grass in United States. 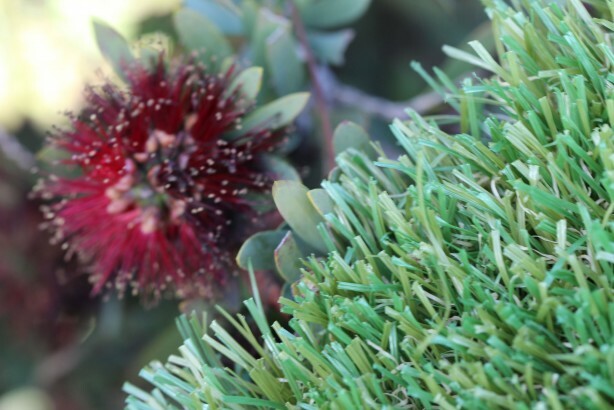 We have more than 70 different types of artificial turf and our collection is constantly expanding.